This stucco home was a simplified Tudor style. Unique design for the Colonial Revival of Shawsheen Village. Shawsheen Village was named after the Native American name for the river Shawshin, which means Great Spring. Prior to Shawsheen Village this area was known as Frye Village. All the streets in the Village were named for Castles & Cathedrals in Great Britain. The north end of York St. was once part of the Walter Kaye property, and Smith & Dove Manufacturing Co. 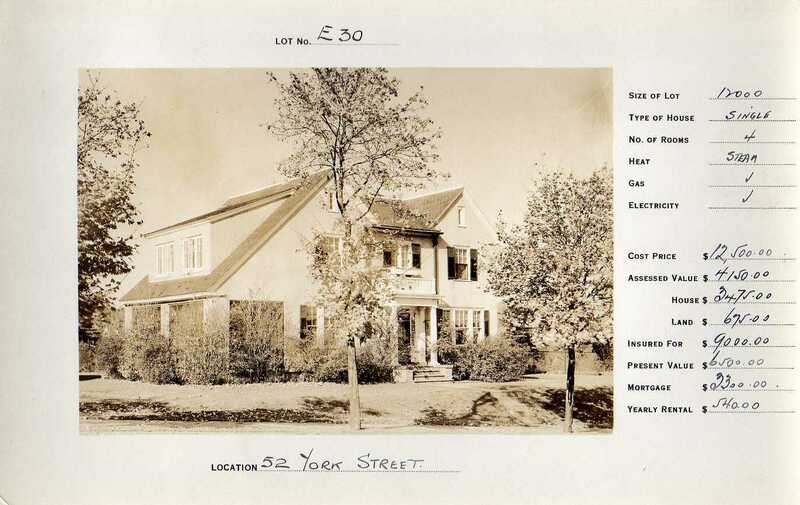 The Kaye home was moved to 26 Haverhill St. for construction of York St. Some homes nearer the entrance of Brickstone were first built in error on the entrance way to Wood’s Shawsheen Mills. Wood, away on tour in Europe, upon his return, saw the homes and said, “removed those home immediately” and so they were relocated to York St. It appears that this home may be the only home on the north end of York St. not moved, but built here after the eight others were relocated. This may also be why the architectural style is different than the other homes. Andover Townsman (AT) - May 12, 1922 - The houses on York street extension are all completed, sewers have been put in and at the present time the street and sidewalks are being finished. This home was built as part of the Shawsheen Village development 1918 – 1924 by William M. Wood, President of the American Woolen Company. Wood hired about eight different architects to design the homes and structures for the village. Homes were leased or sold through the Homestead Association who had offices in the Post Office building on the corner of North Main & Poor Streets. A walk down York Street will find a mix of the old and new as Wood moved a few older homes in Frye Village to sites on York St. and Balmoral St. Each home incorporates a different look, style and design modifications, most noticeable with the front door entrances. Decorative details on the corner boards and a variety of ornamental trellises add to the “icing on the cake, of the maintained original designs. Most of the homes now sport a variety of different colors no longer all white with green shutters as dictated in the original deeds. One of the first occupants of record to lease the home in 1926 were Alexander R. & Jessie R. Tanch. Alexander is an overseer in the A. W. Co. In 1928 Stafford Lindsay rents the home. This house was sold to Arthur E. & Mary D. Redfern on Sept. 13, 1934. Arthur was employed with the American Woolen Co. Arthur died five years later on May 31, 1939. His widow Mary D. continued to own the home for another 32 years. Mary rented the house as income property. 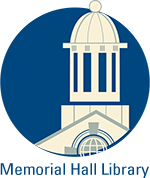 In 1943 Marshall & Janet T. Clinton, Jr. rent the home. Marshall is a Lieutenant in 1943 US Army MD and a Major in 1945. In 1961 Mary D. Refern b. 1902 is back in her home and son Robert D. b. 1937 is in the US Navy. The Redferns sell to William F. & Theresa H. Burbine on Jan. 27, 1971. Major Alterations windows replaced with modern casement, wood siding between dormers of second floor, and first floor, enclosed porch on south side. slate roof now asphalt shingle, front entrance portico changed. 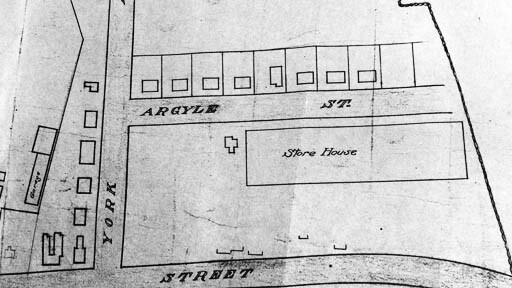 Map detail of Shawsheen Village 1921 - The first Argyle St.